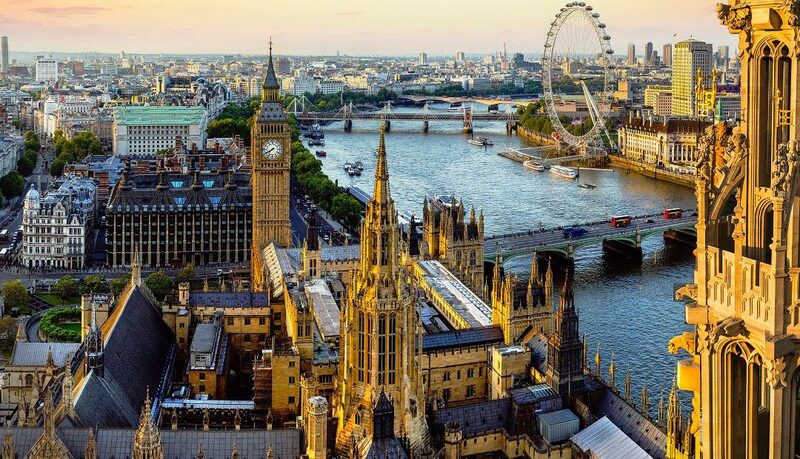 England is the largest country in the United Kingdom and has a deep history as the former world power in the 19th and 20th centuries. It was the world’s first developed country and to this day enjoys a high standard of living. English culture is at the root of Western culture, but you will find a distinct air that you will find nowhere else. For instance, no one else does an English breakfast like the English. Your main concern when moving personal items to a foreign country is handling. You want them to be handled with care, and you want to prevent others from handling them. This may be a reason for not enlisting a professional packaging company like Palmers Relocations, but actually, it increases the possibility of your belongings being handled by far less careful people. Customs are more likely to check a package if it is self-wrapped, and this is where a significant potential for the packaging being compromised comes into play. You shouldn’t have a problem moving your car to England, provided that you have a valid Australian license and a decent driving record. You will have to prove this, then when you get cleared from customs, you will have to ship your car, then pick it up from a depot in England. Your pet must clear customs checks for contagious diseases and pests. Provided that you have a healthy pet, you shouldn’t worry, however this is still a stressful time for animals, so for the best protection of your pet you should consider hiring a pet transport agent. England is a highly progressive and developed country that is a fantastic choice of expat destination for people from all countries and ethnic backgrounds. It is actually one of the most multicultural countries in the world. If you are moving to England to work, the best choice of location would be London. London is an economic center of the world and in fact the London Stock Exchange is the world’s largest financial center. However, there are a wide array of major cities stretched across the country, and if you are looking for a location in north England, you may consider Newcastle, York or Manchester. England is of course, the birthplace of the English language and this is the official language of England. Like most English-speaking countries, uncountable languages are spoken in this multicultural country, but none of them are widely spread. So when moving to England, learning English is vital. The climate of England is classified as temperate. This is because it has plentiful year-round rainfall and a rather cool temperature. In summer, temperatures can rise over 35°C, but in winter they can fall below -11°C. The north is colder than the south because it is further from the equator. And the west is wetter than the east because it is exposed to currents of wind from the Atlantic Ocean. The cost of living is lower in the UK than in Australia (Source) and this will be a benefit to your finances when you move to England. However, the local purchasing power in England is also lower meaning that you may earn less, and this may offset the financial benefit. As Australia and England are both highly developed countries with governments that provide many high quality services for their citizens, it is not surprising that they balance out in these attributes. England’s universal healthcare system provides free healthcare to all permanent residents of the UK that is paid for through the tax system. The UK’s healthcare system is one of the best in the world—being a highly developed country with a government that puts substantial funding into public services like healthcare. All rural areas in England are covered by a GP and a hospital, however facilities are more limited than in the major cities so keep this in mind. Also, while public healthcare is free and universal, private healthcare is always an option for additional services, skipping the waiting list or comfort. For instance, if you desire non-medical treatments, then you will need to use the private sector. Waiting lists in the UK are constantly a source of criticism, with some waiting times averaging two months, making this often a valid reason to seek private healthcare. England has free public school pre-school, primary and secondary education for all children between the ages of 3 to 16–18 years. It also has public universities that are subsidised by the government for citizens. However, private colleges also exist for those seeking courses not offered or which they didn’t get the mark to get into in public universities, however at a higher price. While private education is available across all stages in England, public schools are still highly regarded and of a high quality which is why you should consider public education, but still research the reputation of the individual school and its private alternatives. Driving a car through some areas in the UK will incur a fee. This is called the congestion charge and can be paid online or by telephone. If you encounter a waiting time of 2 months for healthcare—which is often the case in England, then you may consider seeking private health insurance. Owning a television incurs a tax called the television licence fee. That’s just another reason in this day-and-age to opt for Netflix.